The Alakaʻi Higher Education and Internship Program will support students transitioning out of our Hui Mālama O Ke Kai ʻŌpio Program to be accepted into higher education programs ( HEP) / college. They will serve as professional, paid interns within the Hui Mālama O Ke Kai Foundation (HMKF) and be mentored, in addition to serving as mentors themselves. Alakaʻi will receive extended experience in the areas of professional development, entrepreneurial / workforce exploration - as well as - cultural and personal growth. 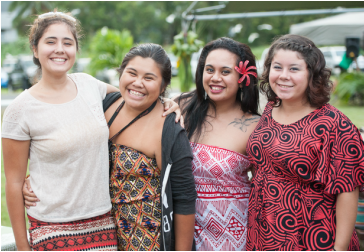 It is designed to lead Alakaʻi Program participants back to Hui Mālama O Ke Kai as future leaders in their community. Are you eligible? Well, if you meet the following qualifications, this sounds like the right opportunity for you! Interested student(s) must be a former Hui Mālama O Ke Kai ʻŌpio Program participant in order to apply to the Alakaʻi Program. For Waimānalo youth ages 16-24 years old. Contact Tina Young, Alakaʻi Program Coordinator for more information.